Today we mark Memorial Day here in the US. Memorial Day is one of those holidays that seems to gain more meaning with every year that passes. When I was a kid in school, Memorial Day always seemed like a bit of torture – it was a glimpse at what summer vacation would be like, but we’d always have 1-2 weeks of school left to go through. When you’re a kid, 2 weeks of school can seem like an eternity, especially when you know the sun is shining and warm outside. As the years have gone on, the enormity of what Memorial Day is all about hits me a bit harder. I think about my ancestors who fought in the American Revolution, side by side with George Washington. What were their experiences like in that war, fighting a war the likes of which had never been seen before? I think about my ancestors who fought in the Civil War, and the fact that family legend says our family was split over that conflict. I think about my ancestors who, it seems, were killed when the Sultana exploded. I think about my grandfather, who was in the Navy throughout the World War II conflict, and who saw things that I can’t imagine. I always knew him as a kind of bear-like man who loved his Cleveland Indians and who never seemed to move out of his favorite chair. Could that be the same man who sailed from Iceland to the Philippines and everywhere in between? Even more than all of that though, I think about what it must be like to have a loved one fighting in a far-off place. My life is filled with people I love who are spread around the world, and there is always a kind of anxiety that distance causes, even though I know they are all as safe as we can all be in this world. How can you struggle through when you are not only dealing with distance but also the uncertainty of whether that person you love has survived the day? Especially with 24/7 news and the internet. Every report of violence in the world would make my heart sink. I don’t know how people cope with that. And I certainly can’t imagine how the people who are in the thick of it cope with it. I can say, with no small amount of shame, that I am not sure I would be able to bear either of those scenarios. As I get older, those are the things I think about every Memorial Day. Rather than lamenting the loss, which is too hard to grasp, I think about how lucky I am. All of my loved ones are in their homes, safe, untouched by the wars being waged around the world except in indirect ways. How lucky am I? How lucky are we? 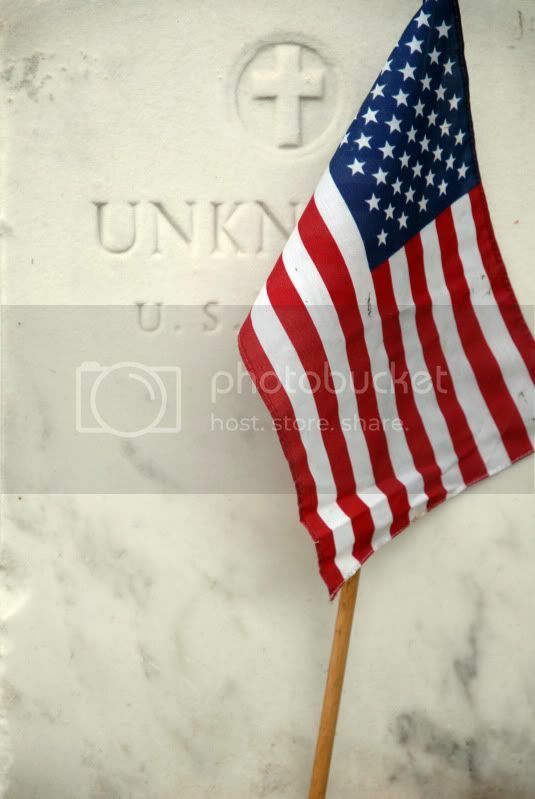 With a bowed head in reverence to those who are not so lucky, who have not been so lucky, I will humbly celebrate, today, the immense wealth and fortune my heart gets to experience on a daily basis, thanks in no small part to those who have lost their lives and their loved ones. Even if you are in a place that does not mark today as a holiday – it is worth thinking about, don’t you think? The military made an impression in my life. And long-term affect when it comes to leadership, respect and enjoying friends. Today is a day to remember — it still tears my heart to see the names roll on the screen on Sunday after Meet the Press of those who have fallen — and their families who will never see them again. I had no idea that you had served, CD. I’m sorry you had to experience those losses. Thank you for posting your very touching thoughts here. A beautiful sentiment, Marjorie, and wonderfully written – a peaceful Memorial Day to you and yours. Thanks, Gene. Back at you! I have to agree this day means a lot more after serving 8 years in the US Army and Army Reserves . I lost friends in combat and had close family members return back from war with wounds that cannot be seen. I went into the military when I was 17 years old. Like many service members we fulfilled our contracts but the military did not fulfill theres. Not only did they offer me things I never got and to be honest now I don’t really want them they extended my contract outside of the 8 Years I had already served. Needless to say this day I remember the two individuals which I trained with and we lost in Iraq. But I don’t forget those who have returned to find out that they don’t have the support system that was offered. Let every day be part of honoring these men and women which sacrifice there lives and put there families in a huge deal of stress with the only satisfaction that they where doing the right thing. I got a lot out of the military and learned many lessons which I have applied in my personal and professional life. I honor those who have given the ultimate sacrifice but please don’t forget about the ones which we can honor with help! That is a huge point Raul, and there are 2 days when we should really make it a focus – Memorial Day and Veterans Day. So many talk about how we should honor and treasure our veterans, but unfortunately, a lot of people have experiences like yours. We must fix the system and make it fair for all. Thank you for your service and for adding your fantastic comment here!